A tiered plate stand can be beautiful but also so very functional for displaying desserts, jewelry... or even acting as a great catch-all for an entryway. If you have some old plates and some super glue of some sort, you can make your own DIY tiered plate stand. 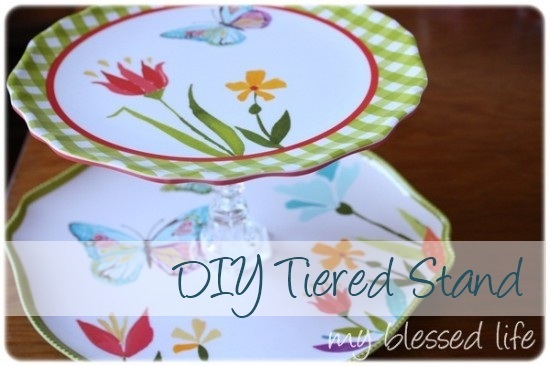 Click here to visit My Blessed Life for instructions on how to turn old unused dinnerware into a dashing new tiered plate stand.